I was looking for the perfect engagement ring for my Girlfriend and was refereed to Keith Saxe. When I called Keith he educated me on what I should be looking for, and how I should approach buying it. He wasn’t even trying to make a sale just a friendly advice giver. I told Keith what I was looking for and he went to work! I got a call a week later telling me about a Diamond he thought would be perfect for me. After seeing 3 people before Keith I headed to NYC from LA. Not only was Keith’s diamond the most brilliant, gorgeous and cut to perfection but working with him was an absolute pleasure. I knew right when I met him and saw the diamond it was a perfect match. Buying a diamond is more about the diamond, you really need to trust the person you are buying from and I had a instant connection with Keith. He even had a massive selection of settings that I choose from and a custom one he made that I selected. It was a true one stop shop. After the purchase Keith took such care of me and my needs that I couldn’t of felt better of my selection. Not only does my new fiancee have the most gorgeous ring she is absolutely in love with it. She gets so many complements on it and all my guy friends are already asking me for a referral to him. Keith beat every Jeweler I went to in price, and quality and I couldn’t be happier with my decision. This will be my go to for anything I purchase in the future. Thank you Keith for the best experience ever! In my 25 years as a jeweler I have had many clients fortunate enough to have acquired magnificent fine jewelry collections. Designs in platinum, yellow gold, pink gold, diamond, sapphire, ruby, and emerald, of every size for every part of their body. I thought my experience had allowed me to ‘see it all’, but I stand corrected. An innovation was revealed on Fox News over the weekend, that I in no way endorse. But as we always do here at NYC Diamond Blog, here in the interests of full disclosure of industry events are the ‘believe it or not’ details. 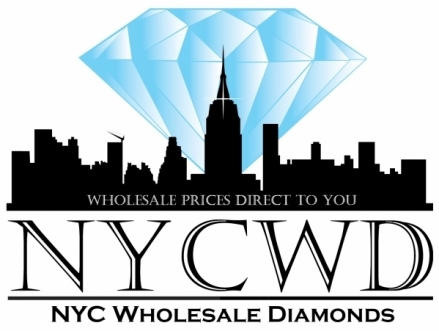 NYC Wholesale Diamonds obtains Ideal Cut Diamonds directly from the premier industry source in Antwerp. No middlemen, No high retail markup…. Low Wholesale Prices Direct To You! WE BUY YOUR OLD JEWELRY, GOLD, PLATINUM AND DIAMONDS, WHY NOT USE THIS TO PAY FOR HOLIDAY GIFTS! NYC Wholesale Diamonds offers GIA and EGL Certified Diamonds ranging from under one carat, to over 10 carats in every color, clarity, and carat weight. 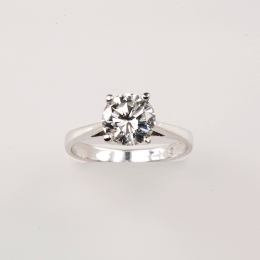 Keith Saxe is GIA and FIT trained and has been a trusted high end diamond jewelry specialist for 25 years. He is the founder and president of NYC Wholesale Diamonds located at 47 West 47th Street Suite 3A in the New York City Diamond District. 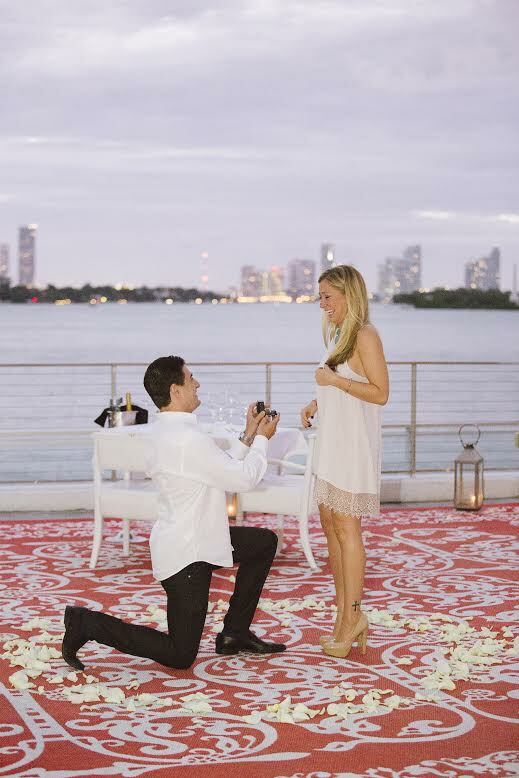 His website is www.NYCWholesaleDiamonds.com and authors a blog at www.NYCDiamondBlog.com. “The Pink Star,” a 59.60-carat oval cut fancy vivid pink diamond, sold on Nov. 13 for $83.2 million at a Sotheby’s auction in Geneva. Described as the largest internally flawless diamond ever graded by the Gemological Institute of America, the stone was promptly renamed “The Pink Dream” by its buyer, the New York-based diamond cutter Isaac Wolf. It had been estimated at over $60 million. A day earlier, Christie’s Geneva auctioned “The Orange,” a 14.82-carat diamond, billed as the “largest fancy vivid orange diamond in the world,” for $35.5 million. It had been expected to sell for $17 million to $20 million. With big diamonds fetching such stratospheric prices this autumn, it is small wonder that the stones have held their value with collectors and investors. The reasons range from the rarity of the stones, especially the colored varieties, to the desire of wealthy investors to diversify their portfolios with tangible assets as a hedge against volatile equity markets. Large diamonds have proven to provide good returns on investment in recent years. A 50.01-carat rectangular cut diamond that was sold at Christie’s New York in 2005 for $4.2 million came back to market last year and sold for $8.4 million. Both times, the diamond was purchased by the jeweler Laurence Graff, who had resold it in the interim. On Oct. 7, Sotheby’s Hong Kong sold a 118.28-carat oval brilliant-cut diamond billed as the “greatest white diamond ever to appear at auction” for $30.6 million after a six-minute bidding war, while another brilliant-cut diamond weighing 20.05 carats went for $4.06 million. “There will always be a market for stones from 1 carat to 10 carats, but at 50-100 carats we are looking at an elite buying field, and the rarer they are, the better they fare,” Mr. Kadakia said. Colored diamonds are continuing to climb in value as the market realizes that the supply is dwindling. The Rio Tinto’s Argyle mine, which produces more than 90 percent of the world’s natural pink diamonds, is expected to be closed in 2020. On October 14, Argyle held its annual sale to invited members of the trade: a single bid per stone for each of the 64 lots on offer. Two price records were broken: the Argyle Phoenix, a 1.56-carat fancy red diamond, fetched the highest price per carat for a diamond ever produced from the Argyle mine, selling for more than $2 million. “In the colored diamond world $1 million per carat is now normal, which in itself is a headline,” Mr. Kadakia said. John Glajz, a diamond wholesaler and seasoned bidder who bought the Argyle Phoenix along with another nine stones, said he was “a little surprised” at how high the prices went. Wealthy individuals have been investing in diamonds as a secure asset in an uncertain environment of low interest rates, according to Wealth-X, a consulting and research firm specializing in the habits of ultrahigh-net-worth individuals, those with net worth of at least $30 million. The recent anonymous purchase of the $30 million egg-size diamond from Sotheby’s “is yet another demonstration of the rising prices, and associated investment strength of diamonds,” said Mykolas D. Rambus, chief executive of Wealth-X. Of course, many wealthy individuals also own diamond jewelry as fashion items. But the trend toward using gemstones to supplement or balance an investment portfolio seems to be growing, as evidenced by the prices of large gemstones. An added component of their investment value is that reselling the stones, even if they have been purchased at a premium price, is “not difficult” given their rarity, Mr. Glajz said. “I have bought Argyle tender stones from the secondary market — i.e., from other successful bidders or their clients — and I have been known to repurchase tender stones that I sold to various clients in previous years, and pay substantially more than my original selling price to them,” he said. The prices of white diamonds — the classic, clear stones that, while rare, are not as rare as their colored counterparts — peaked in mid-2011, according to Edahn Golan, founder of Edahn Golan Diamond Research & Data. “So far this year, prices are very stable, fluctuating by about 2 to 4 percent, depending on the size of the diamond,” he said. Round diamonds smaller than three carats have had average price increases of 8 percent to 33.5 percent since 2004, while prices of larger round diamonds have increased much more. Three-carat diamonds have increased 77 percent, four-carat diamonds by more than 140 percent and five-carat diamonds by 112 percent since 2004, he said. But as with any market that seems too hot to cool down, caution is advised, investment managers say. People should not jump in too enthusiastically, they say, and they should not go in alone. “Colored diamonds belong to a select market whose participants are seldom affected by economic conditions, thus creating a natural hedge,” said Eli Butnaru, chief executive of Mora Wealth Management. Mr. Butnaru said he did not actively encourage his clients to invest in gemstones. “In exceptional cases we would consider a 2 percent to 3 percent allocation in colored stones only,” he said. But even then, he advised against individuals’ bidding on the stones because they could not compete with professional bidders. 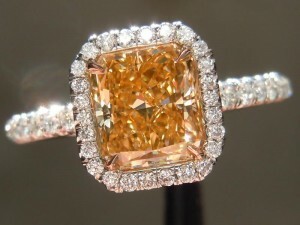 A fund that specializes in gemstones, Mr. Butnaru said, “has the ability to secure better prices than those obtained by individuals, and more importantly, with an exit strategy.” Certain funds also have expertise on how the stones are cut and polished, and can actually improve the value of a purchase, he said. A sign of the times: The Singapore Diamond Investment Exchange, which markets diamond funds, has seen its volume grow sevenfold, to $20 million this year from $1.5 million last year. “We are confident to double this amount in 2014,” said Alain Vandenborre, chairman and founder of the exchange, which recently changed its name from the Singapore Diamond Exchange to avoid confusion with traditional diamond exchanges, where the stones are bought and sold by merchants and jewelers. Investors interested in a diamond portfolio with the Singapore exchange will need a minimum investment of $1 million. Most of the portfolios the exchange has sold to date contain stones from 2 to 10 carats, though the exchange has also sold large stones in the range of 15 to 20 carats. Although initial demand came from the Asia-Pacific region, most of the new investors are coming from Europe and Russia, Mr. Vandenborre said. “Our portfolios have performed between plus 3 percent to plus 10 percent for the first half of 2013,” he said, adding that all the exchange’s portfolios have outperformed benchmark indexes. “It is too early yet for us to see existing clients topping up in their initial portfolio, but what is encouraging is that we now have prominent clients who are referring us to their friends,” Mr. Vandenborre said.